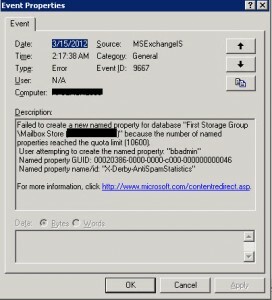 Failed to create a new named property for database “First Storage Group\Mailbox Store ()” because the number of named properties reached the quota limit (10600). 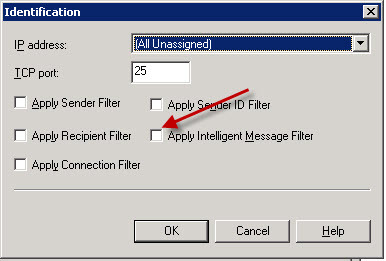 In my case I resolved this error by unchecking the Intelligent Message Filter from the Default SMTP Virtual Server. 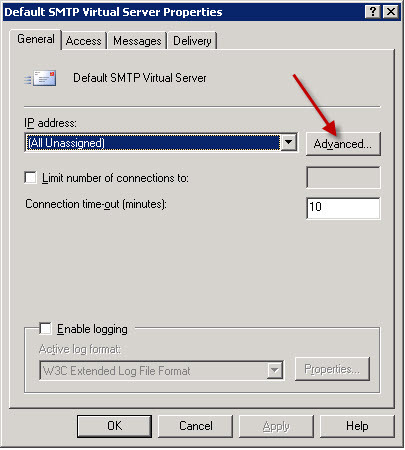 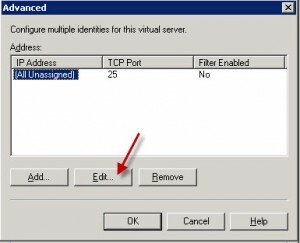 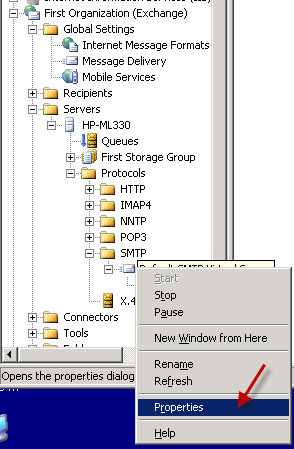 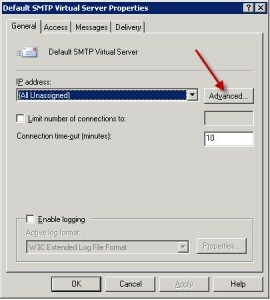 Just navigate to the Default SMTP Virtual Server, right-click and click on Properties. Then unchek the Apply Intelligent Message Filter box.